Safetymatters: Nuclear safety culture information, analysis and management: Back to the Past at Millstone? Back to the Past at Millstone? A recent article* in the Hartford Courant newspaper reported on a turbine-driven auxiliary feedwater (TDAFW) pump problem at Millstone 3 that took so long to resolve that the NRC issued a White finding to plant owner Dominion Resources. The article included a quote from the Connecticut Nuclear Energy Advisory Council (NEAC) describing their unease over the pump problem. We dug a little deeper on the NEAC, a state government entity that works with public agencies and plant operators to ensure public health and safety. Their 2014 annual report** highlights the TDAFW pump problem and another significant event at Millstone, a loss of site power that caused a dual reactor trip. NRC inspections following these two events resulted in one Severity Level III finding, the White finding previously mentioned and two Green findings. The events and NRC findings led the NEAC to express “great concern regarding the downward performance trend” to Dominion and request a formal response from Millstone management on any root cause that linked the performance problems. In his response to the NEAC, the Millstone site VP said there was no root cause linking events. He also said two safety culture (SC) improvement areas had been identified, viz., problem identification and evaluation and establishing clarity around decision making, and that the site has implemented improvement actions to address those areas. In the Courant article, a plant spokesman is quoted as saying "If it's not immediately obvious why it's not working, we put a team to work on it." The article also referred to related behind-the-scenes NRC staff emails*** in which the time it took for Dominion to identify and address the TDAFW pump issue raised eyebrows at the NRC. So what does the TDAFW pump event tell us about SC at Millstone? Is Millstone on the road to the bad old days, when SC was AWOL from the site? We hope not. And there is some evidence that suggests the TDAFW pump issue was an isolated problem exacerbated by a bit of bad luck (a vendor supplying the wrong part with the same part number as the correct part). Currently, M2 is subject to baseline inspection and M3 to baseline and a supplemental inspection because of the White finding. To us, this doesn’t look like a plant on the road to SC hell although we agree with the NRC that the TDAFW pump problem took too long to evaluate and resolve. We hope the Millstone organization learned more from the TDAFW pump problem than they displayed in their reply to the NRC. ***** In dealing with the regulator, Millstone naturally tried to bound the problem and their response: they pointed at the vendor for sending them the wrong part, implemented a TDAFW pump troubleshooting guide, revised a troubleshooting procedure, and produced and presented two case studies to applicable plant personnel. The site VP’s letter to NEAC suggests a broader application of the lessons learned. We suggest the “trust but verify” principle for dealing with vendors be strengthened and that someone be assigned to read Constance Perin’s Shouldering Risk (see our Sept. 12, 2011 review) and report back on the ways factors such as accepted logics, organizational power relations and production pressure can prevent organizations from correctly perceiving problems that are right in front of them. * S. Singer, “Emails Show NRC's Concern Over How Millstone Nuclear Plant Reacted To Malfunction,” Hartford Courant (Jan. 12, 2015). ** 2014 Nuclear Energy Advisory Council (NEAC) Report (Dec. 11, 2014). The Nov. 10, 2014 letter from Millstone site VP S.E. Scace to J.W. Sheehan (NEAC) is appended to NEAC’s 2014 annual report. *** The Associated Press obtained the emails under a Freedom of Information Act request. Most of the content relates to the evolution of technical issues but, as cited in the Courant article, there are mentions of Millstone’s slowness in dealing with the pump issue. The emails are available at ADAMS ML14358A318 and ML14358A320. **** “Millstone Power Station – NRC Problem Identification and Resolution Inspection Report 05000336/2014009 and 05000423/2014009” (Sept. 12, 2014), cover letter. ADAMS ML14255A229. ***** Dominion Nuclear Connecticut, Inc. Millstone Power Station Unit 3, Reply to a Notice of Violation (Nov. 19, 2014). ADAMS ML14325A060. I worked with the late, great Constance Perin during her research for Shouldering Risks, and I recall she was astonished that nuclear plant cause analysis reports focused on constructed 'facts' and filtered out the information about attitudes and influences found in the interview notes. 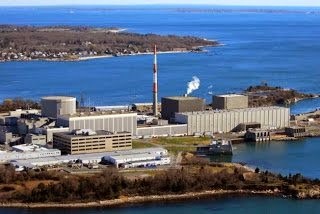 How did the nuclear power industry attack on the NRC affect inspector performance?